The Small Business Development Center and LegalCORPS have teamed up to bring a new tool for success to the small business owners of Southeast Minnesota. The "Brief Advice Legal Clinic," staffed by local volunteer attorneys, provides brief advice and information on non-litigation legal issues free of charge. Clinics are held twice monthly, typically on the 2nd Tuesday and 4th Friday, 9 a.m. - 11 a.m. Small business owners can schedule a 30-minute appointment by contacting the Small Business Development Center at (507) 285-7536 or email semnsbdc@gmail.com. LegalCORPS is a non-profit volunteer lawyer coordinating organization. Its mission is to connect volunteer business lawyers with small businesses who cannot afford non-litigation legal assistance they need for success. Full representation is available on an ongoing basis. LegalCORPS can provide volunteer attorneys to fully assist businesses for non-litigation matters. LegalCORPS applies income guidelines for eligibility for such services. (See LegalCORPS for more information.) However, it reviews all applications for appropriateness for free assistance. Please Note: Income guidelines do not apply to small businesses seeking one-time services through the Brief Advice Legal Clinic described above. By lending a hand to those who otherwise could not afford needed legal help, LegalCORPS' knowledgeable volunteer lawyers join efforts to make Minnesota's communities great places to live, raise families and do business. Funded in part through a Cooperative Agreement with the U.S. Small Business Administration, Minnesota Department of Employment and Economic Development and regional support partners. All opinions, conclusions or recommendations expressed are those of the author(s) and do not necessarily reflect the program sponsors. Programs are open to the public on a nondiscriminatory basis. Reasonable accommodations for persons with disabilities will be made if requested at least two weeks in advance. 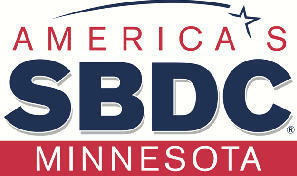 Contact SE Minnesota SBDC at 507-285-7536.